First squash the banana with a fork in a bowl and mix until it is more liquid. Then add the raisins and mix. Then add the crushed Cheerio's and mix. 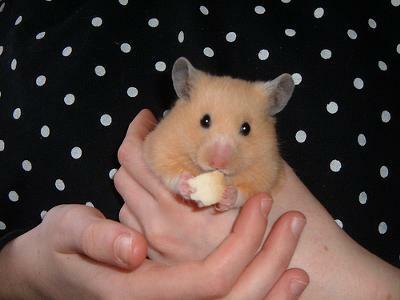 Once all mixed together spread onto the bread and cut into chunks big enough for your hamster to hold.